CEOCFO: Mr. Reddy, what is the concept behind nGageIT Digital Health Solutions? 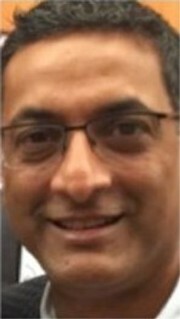 Mr. Reddy: nGageIT Digital Health Solutions is creating groundbreaking new mobile nano-enabled technology and sensor platforms to transform digital health care by verifying that medications are ingested or injected correctly, and on schedule, using a smartphone. We are addressing what seems to be a very simple question in medicine and that is �Did you take your medicine?� However, it turns out that this very complex behavioral medical issue, called medication adherence, is not so simple. Low medication adherence and patient disengagement are arguably the most significant problems in our healthcare ecosystem, costing over three hundred billion dollars in the US alone and leading to over one hundred and twenty five thousand premature deaths each year. In fact, low medication adherence kills more people than breast cancer. Studies show that up to 50% of people don�t stay on therapy and are non-adherent. The most common problems occur with take home medications, such as oral tablets, or subcutaneous injections, like insulin. The most important factor in this system, digital health, is actually verifying that the proper ingestion or injection of these medications takes place by patients in their home or out of the clinic. Therefore, nGageIT is addressing this problem by creating ground breaking, new, nano enabled technology and sensor platforms that will transform digital healthcare by digitally verifying that medications are ingested or injected correctly and on schedule, using their smartphones; something that they carry with them all the time. Typically we target �high value� drugs such as orphan drugs or specialty drugs, where missing a dose is extremely damaging or even life threatening. Our novel patient facing verification sensors are designed to be the �digital hub� in our hub and spoke model. Once the patient is connected through their medication, effective patient engagement tools can be delivered to modify behavior, improve outcomes and optimize costs. Ultimately, our goal is to enable life science companies to leverage the real life patient experience data from our novel mobile dose verification sensors, artificial intelligence and enhanced patient engagement tools to empower physicians to improve outcomes and strategically transform from primarily product driven companies into �digital care driven companies�. CEOCFO: How does the system work? Mr. Reddy: Our platform can detect both orally ingested tablets and capsules and injectable medications. Therefore, we cover over 95% of the medications that are actually taken home for use by patients. We do this by developing custom patent pending sensor platforms that connect and engage our patients through their medications. Our unique mobile nanoparticle barcoding system can turn any approved oral medication into a digital object, which allows us to connect patients to the healthcare ecosystem in real time by making their medicines smarter. After a patient has ingested a table, the NanoSmart Biosensor then reads and decodes the nanoparticles from the patient�s breath like an �ingestible bar code� utilizing a smart-phone based detection device called the Noz. In the future, the NanoSmart biosensor will be refined to detect biomarkers from the patient�s breath which correlate to diseases such as breast cancer and lung cancer so that the platform can detect adherence and monitor the underlying disease as well. Our mobile NanoSmart technology system is attached to your smartphone and automatically maps your medication taking behavior to the cloud. nGageIT provides your physician with the real world evidence of how a particular medicine is performing in the patients home or out of the clinic. Once we have this connection with our patient, we can then deliver engagement tools and help modify poor medication adherence behavior at its source. We can also apply Artificial Intelligence (AI) to the platform�s novel data to help predict which patient�s will develop poor adherence, adverse effects or which patients will discontinue therapy. By improving behavior, we improve outcomes and impact ROI for our life science partners. We believe we are leading the next evolution of digital health through our powerful digital medicine platforms. For sub-cutaneous injections, nGageIT has also developed smart injection devices called iSenz and InsuloSenz that safely and non-invasively detect that proper doses of medication have been injected. nGageIT is the only company in the world that has developed devices that can scan and detect the unique molecular fingerprint of medication that has been injected below the skin, confirm the proper angle of the injection and verify its quality. Currently, we have validated our device for detecting most types of human insulin and are working on expanding our molecular fingerprint database. Its important to note our smartinjection sensor can detect the quality and purity of the medication being injected before it is injected into the body. Our injection sensing platform then also detects the medication after it has been injected into the body. In that way, we allow people like diabetics and people using injectable medicine to simply inject, detect and go and we do all the sensing and tracking of their medications automatically through their smartphone. They are not required to manually log anything. Our smartinjector for insulin will enable pharmaceutical insulin manufacturers to truly strategically move from primarily product driven companies to �diabetic care� companies. Our platform digitally detects whether the injection is being done properly by confirming the angle of injection for optimal absorption and auto-correcting the patient in real-time, verifying that the drug being injected is �pure� and verifying that the drug has been injected into the patient�s body. There is no change in the patients behavior required, they simple keep injecting as usual and we do the rest. Our medication engagement system works on a �hub and spoke� system. Once nGageIT�s core or �hub� novel sensors digitally verify the ingestion of oral medications or detect injectable medications, patient engagement can truly begin. CEOCFO: How are you detecting a pill? Mr. Reddy: We create a very unique �nanobarcode� using nanoparticles. We embed nanoparticles on the outer coating of tablets or capsules. This nanoparticle code is unique to that particular drug. Therefore, we can tell what drug it is, what dose it is, where it was made, when it was made and when it will expire, along with lots of information about that drug, right from that digital nanoparticle barcode. The barcode acts, very similar in fact, to a barcode such as on a carton of milk, although our code is very much smaller as well as being �nanomolecular� in design. However, the concept is the same. When you go to the grocery store you scan that barcode and lots of information about that milk carton comes up; how much it costs, where it came from, when you bought it, all of that type of information. With our system, we do the same thing with ingestible medication, like oral tablets or capsules. We create an ingestible nanoparticle barcode that is released once you ingest the medicine and we detect it on a custom breath biosensor that we have developed. We combine our base nanoparticles into millions of �NanoCodes� similar to how nature uses only 4 base pairs in DNA to create millions of different things ranging from ants to humans. Similarly we can create millions or tens of millions of unique nanocodes that can used to carry data which uniquely describes the underlying tablet or capsule. Once you ingest the tablet or capsule the safe food grade nanoparticle code is detected, digested and ultimately disappears. CEOCFO: Would someone need to wear the sensor all the time or at least wear it when they are taking medications? Mr. Reddy: No. nGageIT�s platform does not require cumbersome sensor patches to be worn all the time or at all � our system simply requires the patient to breathe naturally. Our small NanoSmart sensor is embedded onto the user�s smartphone and the Nanoparticle �bar code� is detected from the user�s breath non-invasively after they ingest a tablet. Therefore, the patient would receive a reminder at the appropriate time, they would take their tablet, breathe into our biosensor embedded on their smartphone and we would detect that they have taken the required medication at the right time and the right dose. Our system is easy to use and leverages natural behaviors that don�t require special training such as breathing. CEOCFO: Where does the phone have to be when you take the tablet? Mr. Reddy: We recommend you keep your smartphone at hand when you take your tablet, then take your tablet as usual. Once you ingest your tablet you breathe into the �NanoSmart� sensor through a small aperture located on the NanoSmart device attached on the smartphone. CEOCFO: Would that have to be one medication at a time? What types of medications are detected? Mr. Reddy: We can turn any oral drug into a digital object. However, our system is designed mainly for the specialty high value drugs, which are usually fixed dose once a day drugs which are detected one at time. These high value drugs can cost more than one thousand dollars a pill. They are used for complex diseases such as cancer, and autoimmune diseases. Therefore, our system is an assistant for them, so that we can detect and map behavior of the patient using these drugs with respect to the tablet when they are not in the clinic, when they are not with the doctor. We can map all of that behavior back to the cloud so that the doctor can customize their therapy to their genes, to their lifestyle, to their own behavior, so that they become more adherent to therapy leading to better outcomes. CEOCFO: What is involved in adding the coding to a pill and would that be done by people that make these compound drugs? Mr. Reddy: Yes, thanks for the question. We use food grade nanoparticles. These are inactive ingredients and they are applied in the post-production phase of manufacturing at the parts per million range. They do not affect the underlying tablet but rather work with the existing coating system from the manufacturer. The �nanocode� would identify a tablet by correlating that code with a specific tablet, lot number, dose and other data found in our cloud. For example, our NanoSmart technology could say you ingested DrugX 125mg at 8:30am for breast cancer, this drug was made on September 5, 2016 at plant number 3 in New Jersey, it is from lot 123456, expires on September 5, 2020 and you are scheduled to take it daily for 21 days and off for 7 days with food at 8am starting on March 1, 2018. Your 7 day off cycle starts tomorrow. Your last dose was yesterday at 730am and your next dose is due tomorrow at 8am. You have missed 4 doses in the past 21 days and you have been late by more than 4 hours for 6 doses in the past 21 days. Your doctor scheduled an appointment for you in 7 days. You have had four interventions in the past 21 days for the following side effects, which have been resolved. Therefore, our system would be applied to the drug at what is called, the post production process, meaning when it is already made, or even to current inventory. This means we are not wasting any drugs with respect to the manufacturer or significantly disrupting the manufacturing cycle. We are creating a system that is very low cost and that can be rapidly deployed to existing inventory. Our NanoSmart biosensor is a class 1 FDA medical device. CEOCFO: Where are you today in development, commercialization and usage? Mr. Reddy: We have completed our proof of concept for our nanoparticle sensor. Our custom patent pending can detect digital nanoparticles at a sensitive today of one part per million in a person�s breath. Therefore, today we can create over ten million unique nano-barcodes and are expanding our capabilities. For our smartinjector detection system, we have mapped the unique molecular fingerprint of most human insulin�s for our classification library that will be used to identify injectable medications in our mobile smartinjection device. Right now we are seeking commercialization partners for our products. Therefore, we are talking to large pharmaceutical industry players, industry groups and venture capitalists to enable us to commercialize our products. CEOCFO: What has been the reception from both the investment community and people in the medical community? Mr. Reddy: In our own market research surveys our mobile product platforms are of great interest to physicians and the pharmaceutical industry as well as payors. NGageIT is the only digital medication adherence platform which detects and monitors the ingestion of oral doses and the injection of injectable doses both. Therefore, it covers both types of take home medications, which is about ninety percent of the take home market. Our system can also be easily deployed at a very low cost and applied to current inventory which is beneficial to pharmaceutical manufacturers. Physicians are greatly interested because now when the patient sees them there is a real connection between the patient and the physician through their medication to map out the real life experience of the patient with their medication out of the clinic. This becomes a way to tailor the therapy to the individual needs of a patient, rather than using a very flat approach that treats everybody the same. Smarter medications through our digital platform helps improve outcomes and optimize costs which is also important to payors and health systems. CEOCFO: Has anything similar been tried? How have people gone about trying to monitor, perhaps, in a digital way? Is it all by entering information? Mr. Reddy: That is a great question. Currently, the pharmaceutical industry mainly relies on patient self reporting, which is inherently flawed, as you can imagine, because people often fail to accurately self report. They will call them up and ask, �Did you take the medicine,� and the patient will say �yes� or �no� and that is how they currently monitor it. Therefore, that creates a lot of problems with respect to capturing real-time accurate data around being able to verify that the patient ingested or injected the drug. Additionally, there are more than 169,000 applications out there according the FDA involving various mechanisms where the patient would have to enter the dosing information into an application or detect when you open the lid of a drug to assume that you took your dose correctly. However, there are not any substantial mechanisms available that actually verify ingestion like our nanoparticle barcoding system; that is a digital medicine system that actually verifies that you actually ingested that tablet without having to wear a sensor 24/7. Our main purpose is to make sure that when you are at home, we are able to digitally verify that you actually ingested the tablet or that you properly took that injection. Those are the main things you need to know around digital medication adherence in order to form a solid �digital hub� that allows for meaningful patient engagement and ultimately improved outcomes. CEOCFO: Would you tell us a little bit more about the injection part for medications? Mr. Reddy: For sub-cutaneous injections, nGageIT has also developed smart injection devices called iSenz and InsuloSenz that safely and non-invasively detect that proper doses of medication have been injected. nGageIT is the only company in the world that has developed devices that can scan and detect that medication has been injected below the skin, confirm the proper angle of the injection and verify its quality. With approximately 1.4 million new cases of diabetes diagnosed in the U.S. each year, smart tools like the iSenz and the InsuloSenz will help patients inject with confidence. Further, rapid insulin and other medications need to be injected either at 90 degrees or 45 degrees - suboptimal techniques lead to poor outcomes and complications. Our smartinjector automically detects the angle of injection in real-time leading to opmital medication untilization. Insulin is not the only injectable product we can address. Many companies are now moving from IV medications to subcutaneous injections for diseases ranging from high cholesterol to cancer, because you can take those home, and as you can imagine, that is much easier for the patient to use than going to a hospital and having a multi-hour infusion. Our smartinjector also can be customized to these medications as well. CEOCFO: What is your business model? Who will you be selling to and what will you be selling? Mr. Reddy: nGageIT aims to improve wellness in the healthcare ecosystem and solve the $300 billion to $600 dollar global problem of non-adherence and disengaged patients. We are focused on the $34 billion niche in the specialty high-value pharmaceutical market as well as the diabetic market. Pharmaceutical manufacturers, payors and health systems are our partners and our clients since they will benefit from our patient engagement and adherence services. Specialty medications and high-value drugs are typically delivered through a closed-loop model. Currently, the industry pays for an antiquated �call-back medication adherence system which simply involves reviewing refill data that can be several months old to track patients and otherwise relying on patients self-reporting their compliance. We aim to enhance the system with our digital dose verification sensors and platform so intervention can be made in real time with real data. Therefore, our model is based on a subscription model whereby we provide the �digital hub� and manage the digital medication adherence at the pre-clinical phase and as long as the product is in the market. We keep patients on therapy, we improve their outcomes, and we apply artificial intelligence to predict which patients are more likely to suffer adverse events or discontinue patients so resources can be tailored and focused on these patients. Further, the smartinjection device and platform is also designed to be paid for by insurers and employers which benefit from the improved outcomes and improved productivity from patients on injectable medications such as insulin. A consumer facing version is also being planned. CEOCFO: What has changed in your approach over time, either from the device or the actually system side and/or from the business concept? Mr. Reddy: When we started out and when we researched the market we noticed that in the FDA literature indicated that there were over one hundred and sixty nine thousand different types of applications out there for digital health and medication adherence monitoring. We started to look at what types of monitoring was available and the appetite in the market for these products. If there are so many products why was the market not taking it up more rapidly? It turns out that many of these are mainly software applications requiring patients to enter a lot of data and none of the applications actually verify the injection or the ingestion of the medication at the patient�s home. While that is a step up from where we were, it is really not the optimal solution. Therefore, as we started to look at different solutions around imaging and other techniques, we realized that the best technique was to actually mark and tag the tablet with a nano �bar code� to be able to identify the actual ingestion of the tablet. That would be the most appropriate method for monitoring patient adherence at the home. We need to know when the patient ingested the medication or when they injected it as the �digital hub� of our adherence and engagement model, nothing less. Further, when we looked at injection systems, there was little advancement other than in some cases attaching a blue-tooth transmitter to the injector. However, simply using a blue tooth transmitter was not enough for us, we wanted an injection system that addressed the technique issues that led to poor outcomes such as poor angle of injection as well as the ability to actually detect the molecular fingerprint of the drug to verify quality. These novel data sets could then be used with artificial intelligence to make predictions about how well a patient will perform with a drug and focus resources on patients who needed them the most as early as possible. Therefore, we simplified our business model to those two things. We wanted to make sure that we develop a system that could actually mark the tablets and identify them and identify the injections when they are in the patient�s body. That is how we came up with nGageIT. CEOCFO: Address our readers in healthcare and the investment community, as well as those on the patient side. Why is nGageIT Digital Health Solutions important. Why does the company standout? Mr. Reddy: nGageIT Digital Health Solutions is creating groundbreaking new mobile nano-enabled technology and sensor platforms to transform digital health care by verifying that medications are ingested or injected correctly, and on schedule, using a smartphone. Physicians and Life science companies can gather the real life experience of patients out of the clinic from nGageIT�s custom patent-pending sensors to measure medication treatment effectiveness and optimize clinical outcomes. This also presents an opportunity for companies to engage in value-based contracts. Accurately digitally identifying and verifying when individuals actually ingest and inject medication has become a top priority for life science companies to address the epidemic of low medication adherence and low patient engagement. This is true in both the clinical trial phase and the post market phase for most medications across the spectrum. To a large extent, we are leaving the digital health era and entering a more robust phase of digital medicine through the use of mobile biosensors deliver data driven insight into the real life performance of medication�s at the patient�s home or out of the clinic. Being able to ensure that the medication is precisely tailored to an individual to optimize outcomes is something that is becoming essential for physicians, life science companies, health insurers and employers. Our platforms enable the transformation of large pharmaceutical manufacturers from primarily product driven companies to digital �care� companies that improve outcomes and provides a mechanism to monetize the �care� strategy. Our commercial and investment partners will enable us to develop a significant leadership position in the multi-billion dollar medication adherence market with respect to rapidly growing Specialty high value drug segment by uniquely improving patient engagement through our �digital hub� and spoke strategy which will lead to improved behavior and improved outcomes. If medication adherence were treated like a disease, nGageIT�s digital medicine technology solution would be considered a �blockbuster� drug.